Nursery Nightmares | Then there were three.. Initially I put this down to her leaving her Tweenies Room and moving up to the Toddler Room, which also coincided with us moving house. However, a few months down the line with no improvements I am at my wits end - a part of me believes that it is to do with her little sisters impending arrival. Although I do also wonder if it is still overwhelming for her being in a room with older, more boisterous children as she is a bit of a sensitive soul. Whenever I collect her, the nursery workers are always quick to reassure me that within ten minutes of drop off she is completely fine and enjoying herself. 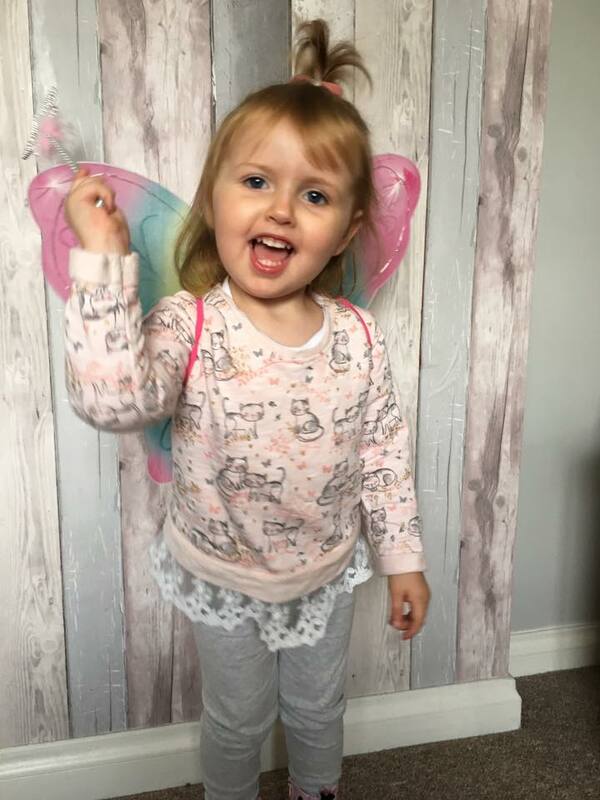 In order to reassure myself that this is just a phase and to stop myself from breaking down into tears before grabbing her and running out of the nursery doors, I decided to seek advice from some other parenting bloggers. Victoria at Lylia Rose: My son does it sometimes and my daughter used to do it, but they say he's fine two seconds after I've left.. it's hard, but I now just give him to one of the staff and make a run for it.. if I stay for a bit it drags it our and he clings to me and gets worse! Vicki at Tippy Tupps: My daughter went through this and my advice would be to not draw it out by lingering around. Taking your time dropping her off will just prolong the separation. A quick efficient handover whilst reassuring her that you love her and will be back to get her later worked best for us. Danielle at Someone's Mum: My best advice is to be as quick as possible and to distract them as you go in. I often say "Ohhh go and show so and so what is on your t-shirt" or "What is this toy?". Then a quick peck on the cheek and run for it! Sarah at Arthurwears: I have had similar with my two year old. He took a while to settle in, then loved it, but as my due date is creeping up on me he's been getting really clingy and upset during drop off. One thing I did which really helped was to make a pictorial timetable of his morning (hanging up coat/bag, moving onto playtime, snacks etc) and we really highlight the last part showing the goodbye song which is when I come and get him. Keep a smile on your face and don't show your worry/anxiety about it. It seems that the general consensus is to drop and run, which is something that I have been doing for the last few weeks. Today, for the first time in what feels like forever, Aoife didn't cry or hold onto me whilst being dropped off. I don't know whether it is my perseverance paying off or just that with it being half term the nursery is a lot quieter with less children. Who knows, but hopefully this is the start of something for us both! Aww! Bless you! Sending love and hugs. When my now teen started nursery she would sob and scream. It broke my heart. I eventually got the hang of just dropping her off and leaving her and within a few months she was over it.